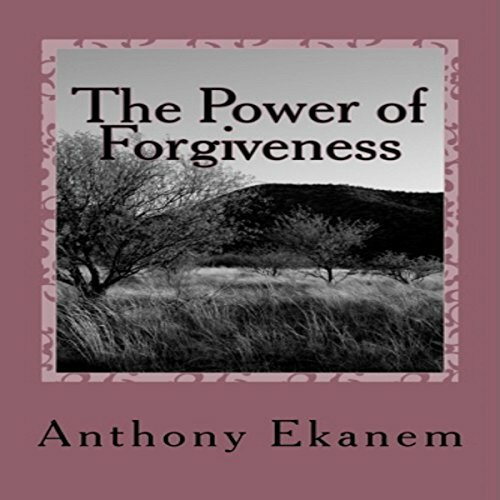 Forgiveness is a subject that many of us have completely either downplayed or forgotten entirely. Somehow, we really don't know how to deal with it. Some people are lucky and they learn to forgive early on in life, but for most people, being unable to forgive leaves a wound that re-opens every time an incident happens in their lives that triggers something similar to what caused the wound in the first place. Forgiveness has a bad aftertaste for most people. They associate it with being weak. After you finish listening to this book you will have come to the understanding that it is quite the opposite. Forgiveness is an act of maturity, bravery and intelligence; most importantly, it is a direct connection to your heart. In essence, it is love itself. For many, the topic of forgiveness has religious connotations. Some religions have actually been concerned with the philosophy and practice of forgiveness since their beginnings. Many people have been helped. However, as religions have evolved, there is often a shift from the inner Truth of the heart to the outer necessity of conforming to social standards and protocols. Forgiveness in these cases has usually turned into a set of rules, a methodology of doctrine that no longer serves to speak directly to the heart. Indeed, many people have left their religions as they have come to an understanding that universal spirituality is replacing doctrine. This opens the door to a world-wide agreement and alignment of what is essential spiritually for every human being.